This luxurious liquid formula glides on smoothly, delivering full coverage that lasts for hours. Lipstick has a matte finish without any drying side effects. Nourishing ingredients like Vitamins C and E help keep lips supple and smooth. Paraben free, Passover approved, fragrance free, E.U. registered. Swipe applicator tip along lipline to line and define, then fill in color in one easy swipe. Ultra hydrating, anti-aging plumping gloss provides sheer coverage with high shine. Increases volume and smooths lines. Paraben free, gluten free, Passover approved, hypoallergenic, dermatologist tested. Volumizing gloss that has beautiful shimmer with sheer color. Preservative free. Paraben free. Provides age defying, long lasting comfort and shine. Hypoallergenic. Paraben free. 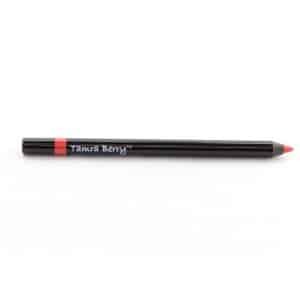 Waterproof Lip Liner 0.04 oz. Keeps color in place. Long wearing, prevents bleeding. Paraben free. Liquid lipstick that provides creamy full coverage with the ease of a wand applicator. Vegan, gluten free, paraben free. Creamy rich long lasting color. Paraben free. Luxury Matte Lipstick .12 oz. Pigment rich creamy color hydrates for all day wear. Hypoallergenic, fragrance free, paraben free. Creamy color protects and conditions lips. Paraben free.